This Wednesday, 3rd April at 10:00am there will be a Fire Drill for the Park, followed by morning tea in the camp kitchen. We look forward to seeing you all there! Experience a very special event this Easter with the Maclean Highland Gathering taking place on Friday afternoon, 19th April and all day Saturday, 20th April commencing with the Bands on Parade arriving at the Maclean Showgrounds at 9am. A full program of activities will entertain the whole family. Let your friends and families know that we still have some pre-Easter vacancies. We now offer a 10% seniors discount, so take advantage of this and mention it at the time of booking. 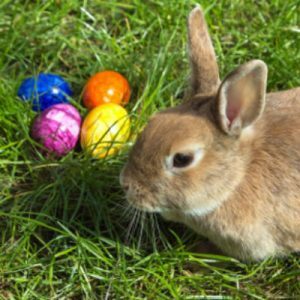 Come and join in the Easter fun with kids activities on Saturday, 20th April where there will be Easter basket-making in preparation for the Easter Egg Hunt on Sunday, 21st April. Meet us at the camp kitchen at 10:00am and let the fun begin!! 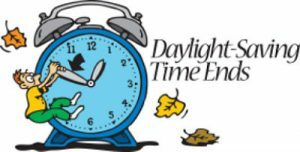 Daylight saving ends for another year. Don’t forget to turn your clocks back by one hour on Sunday, 7 April 2019. 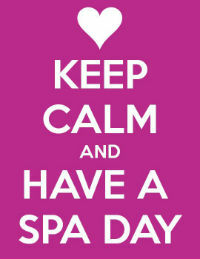 Why not treat yourself to a relaxing massage, facial or a manicure/pedicure. We are offering 10% off all treatments for the month of April. 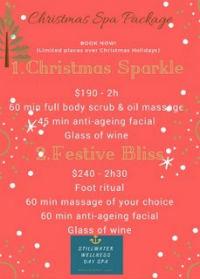 Make sure to call Joanne and book on 6645 7242. Open 10am—4pm Monday to Saturday. Gold Coast Caravan & Camping Show – Competition Winner!! Congratulations to the competition winner from our recent attendance at the Gold Coast Caravan & Camping Show. 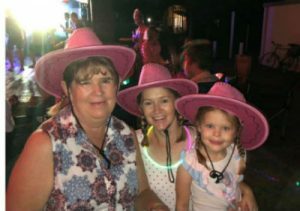 Paula Oley is the lucky winner of her choice between a weekend in one of our cabins, or a week on one of our powered sites. Well done Paula! Valid for bookings for the entire month of March; must be booked by 10 March 2019. Not valid with any other offers. We are very excited to announce that we are now offering a 10% seniors’ discount. Enjoy the benefits of this special discount by mentioning this offer at the time of booking. Not valid with any other offers. Not available in peak season. ( Easter/Christmas excluded). We are heading towards Easter very quickly and we’ve just had 2 last-minute cancellations in a couple of our deluxe cabins; so if you know of anybody looking for accommodation over the Easter period, let them know we have these cabins available. 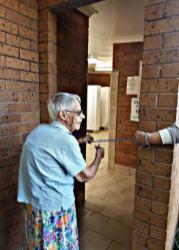 Thanks to the Rotary Club of Iluka Woombah for locating an AED at The Anchorage during the school terms. This lifesaving piece of equipment can be used when necessary for a suspected cardiac arrest. It was donated by Life Savers NSW to the Rotary Club for the New Life Saver Tractor they had purchased for the lifesavers late last year. 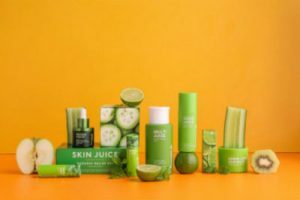 Experience our new range of Skin Juice products when you book your next facial. Starting from $40.00 and ranging up to $110.00. 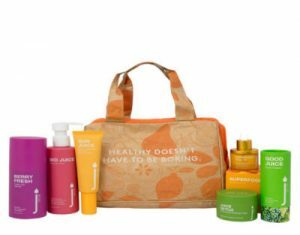 Be empowered with a healthy new skin care program. Clearance Sale on Thalgo retail products (until sold out). We now have a new pricelist out, hope you’ve seen a copy. Newcastle Caravan & Camping Show—Competition Winner! Congratulations to the competition winner from our recent attendance at the Newcastle Caravan & Camping Show. Veronica van Tonder has won her choice of 1 week’s accommodation in a Spa Cabin, or 2 weeks on a standard powered site. Well done Veronica! We hope you all had an awesome Christmas and we wish you a Happy New Year ahead! We have had a busy peak season over Christmas with lots of lovely families joining us once again for their Christmas tradition and to spend this special time together with some other lovely families joining us for the first time, starting a new tradition! We have had the most awesome weather with beautiful warm sunny days and relaxing nights! What a fantastic night it was with an amazing turn out! 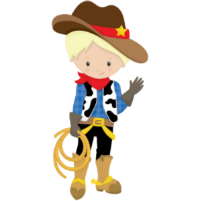 We had a Country & Western theme and it was great to see a lot get into the dressing up! DJ Ecko was awesome and a great night was had by all. 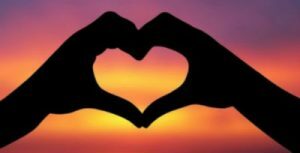 Spoil your Valentine with our $90.00 Special – Choose a 90 minute Relaxation Massage OR a 60 minute Facial Treatment with face/neck massage OR a Deluxe Manicure and Deluxe Pedicure. Valid for the month of February. Valid 9/2/2019 to 22/2/2019 – Book your 3 night stay for 2 people in one of our cabins and receive two complimentary 1/2 hour massages. Relax and enjoy our gift of wine and chocolates on arrival. If you refer 3 of your friends and they make confirmed bookings, we would like to reward you with one free night’s accommodation (based on a minimum 3 night booking) for your next stay. Your friends will need to tell us that you have referred them and we’ll keep track of the rest. * Stay on one of our fantastic powered sites for only $797.75 for 28 days! Maximum 56 night stay, seniors only. * Conditions apply, subject to availability, not valid with any other offer. Please mention this offer at the time of booking. Ooh It’s nearly Christmas time!! Can you believe it?? For all those traveling our way over the festive season we hop you have a safe trip & we look forward to seeing you all & celebrating this wonderful time of year with you! 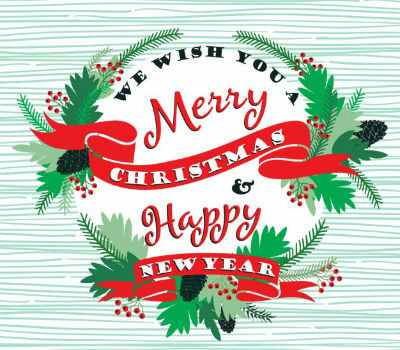 For all our other lovely guests that visit throughout the year we wish you a very Merry Christmas & a very happy & healthy new year for you & your family! 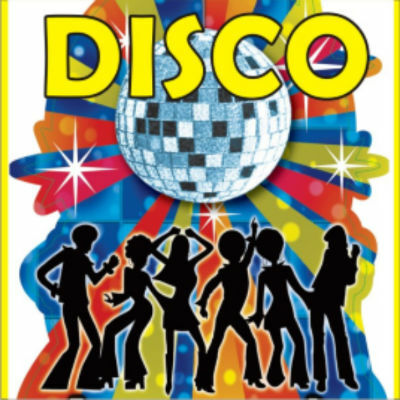 We have our annual New Years Disco held in the camp kitchen New Years Eve coming up. A reminder the theme for this year is ‘Country’ we encourage all residents & Guests to dress up & join us & enjoy what is always a fantastic night. We Have DJ Echo back again with his awesome music & lights transforming our humble Camp Kitchen ’The Shed’ into the perfect place to enjoy the last few hours of 2018! Campers, new rules apply to ground sheets used in park on all sites!! Please use only shade cloth as ground sheets when camping as tarps used as ground sheets kill off the grass & at busy times will take a very long time for the sites to recover. We appreciate your understanding with this matter. This year we will be holding a Christmas party on the 23rd of December from 4pm! All residents & park guests are invited. Santa will be arriving for treats for the kids! BYO Drinks & nibblies! Day Spa Reopening 17th of December!! We look forward to welcoming Jo to the team as Day Spa Manager, ready for the busy Christmas/New Year holiday season. Jo is qualified in remedial massage, pregnancy massage, lymphatic drainage, reflexology for relaxation as well as beauty treatments including waxing, spray tanning, eyelash & eyebrow tinting, pedicures & manicures, Jo looks forward to welcoming you in our beautiful day spa soon… come in and say hello! Looking for a Gift of Good Times & Great Memories? And remember Day Spa Gift Vouchers are also available to spoil your loved one! Did you know that Rudolph the Reindeer never went to school? He was elf taught. The weather is warming up so it must mean summer is on it’s way! With daylight savings now happening the afternoons are absolutely beautiful for a walk along the beach or some fishing before the sun sets. This is a great time to get away before the crazy festive season starts cabins & sites available up until Christmas time. Just a friendly reminder to all permanent residents & Holiday park Guests that are staying in the park, Please let us know if any extra guests will be visiting or staying with you as for safety & security should there be an emergency in the park we need to know numbers & who we have staying in the park at all times. Just a reminder to all Guests & Permanent residents that our dog rules are in place to not only keep the Anchorage clean, tidy & well presented park we are familiar with but also in the interest of health & safety we ask you to keep dogs on a lead at all times & take them for a walk to do any ‘business’. We understand accidents may occur but please pick up & dispose of appropriately in our bin that we service located just across from the main entrance of the park. Every year we have our annual New Years Disco held in the camp kitchen New Years Eve. The theme for this year is ‘Country’ we encourage all residents & Guests to dress up & join us & enjoy what is always a fantastic night. We Have DJ Echo back again with his awesome music & lights transforming our humble Camp Kitchen ’The Shed’ into the perfect place to enjoy the last few hours of 2018! Campers, new rules apply to ground sheets used in park on all sites!! Please use only shade cloth as ground sheets when camping as tarps used as ground sheets kill off the grass & at busy times can take along time to recover. We appreciate your understanding with this . This year we will be holding a Christmas party on the 23rd of December ! All residents & guests are invited. More details to follow… Stay tuned!! CHECK OUT THESE FANTASTIC ANCHORAGE SPECIALS!! · SENIORS 28 DAY + LONG STAY RATE ONGOING OFFER , Stay on any of our roomy standard sites for only $787.75 for 28days! Max stay 56 nights . Must pay upfront for 28 days on arrival. Conditions apply, Subject to availability, Not valid with any other offer, Please mention this offer at time of booking. Not available in Christmas or Easter School Holidays. All bookings subject to availability, Conditions apply not available with any other offer or discount. WOW DID YOU KNOW…Our Hire TRIKES, QUADRICYCLE HIRE, KAYAKS & STAND UP PADDLE BOARDS are only $10 per Hour to hire when staying with us! Is it really school holiday time again? Yay! 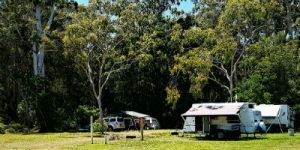 We have a busy October long weekend booked in with a great group of Campers & Caravaners for the start of October then still some spots on Sites both powered & unpowered & Cabins over the QLD & NSW School holidays! It’s such a beautiful time of year why not come & spend a few days with us! What an awesome afternoon we had with The String Family! They were absolutely amazing once again it was an pleasure having them come to visit & put on a concert for us ! Just a friendly to all permanent residents or Holiday park Guests that are staying in the park, Please let us know if any extra guests will be visiting or staying with you as for safety & security should there be an emergency in the park we need to know numbers & who we have staying in the park at all times. Stay on any of our roomy standard sites for only $787.75 for 28 days! Max stay 56 nights . Must pay upfront for 28 days on arrival. Conditions apply, Subject to availability, Not valid with any other offer, Please mention this offer at time of booking. Not available in Christmas or Easter School Holidays. WOW…Ask us how you can get…1hr FREE TRIKE or QUADRICYCLE HIRE & 1 hr FREE KAYAK or STAND UP PADDLE BOARD HIRE then only $10 per Hour! 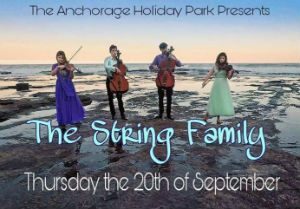 SAVE THE DATE & come along to The String Family concert here at the Anchorage! Not booked in? We still have sites & cabins available! Those of you that were lucky enough to attend last year’s concert will know what an amazing afternoon this is sure to be as this family are so very talented!! All Park Guests & Residents welcome! Hope to see you there!! Anchorage Specials too good not to share!! 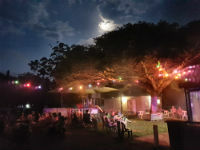 *Two people Stay “FOUR NIGHTS” Monday to Friday in one of our fantastic Queen or Verandah cabins for just $399.00 Please mention offer at time of booking, subject to availability, not valid with any other offer or discount. *Stay 7 NIGHTS Pay only $225.00 for 2 adults on any of our standard sites. Valid from1st September 2018 – 21st September 2018 Conditions apply. Subject to availability. Not valid with any other offer. Please mention this offer at time of booking. *Stay on one of our fantastic Powered Sites for only $787.75 for 28 days! Max 56 night stay, Seniors only, valid all year round (conditions apply), subject to availability, not valid with any other offer, please mention at time of booking. As we now cruise into September the days are getting warmer and we have had a much needed couple of days of rain at the end of August that has freshened up the gardens and lawns we just hope the Farmers in the Drought effected areas have had the rain we have had. Now we seem to be back to our beautiful perfect sunny days! Goodbye to some of our winter crew heading home over September we once again thankyou for staying with us & your ongoing support. What a fantastic time we had raising money for our farmers! We enjoyed burgers & Apple pies for dessert with a lovely group of guests & park guests. We dressed up in our Cowboy/Farmer attire & listened the country tunes in great company! The final amount raised was $959.50… Wow that is absolutely awesome & we thank everyone who came along or donated & made this great day possible! We are looking forward to the fabulous String Family visiting us again this September for an evening of beautiful Celtic & modern tunes to enjoy in our camp kitchen on the evening of Thursday the 20th of June. Hello to all our Christmas crew joining us over the December /January break we have sent our 50% deposit Emails over the last week as 50% of your tariff is due September 1st & the following 50% due on the 1st of December. Also our Theme for this years New Years Eve Disco is ‘Country’ so dust off your country clothes & get ready for a fantastic night! Still trying to pick the perfect gift for dad for Fathers Day ??? How about Anchorage Gift Voucher?? What amazing weather we are having at the moment! We have been absolutely blessed with warm sunny days & evenings that are cooler but it has been beautiful by the open fire in the camp kitchen. A few of our fantastic winter crew will start making there way back down south, it has been beautiful weather for the winter crew this year & we look forward to seeing you all back again next year!! Our Cuppa for Cancer Breakfast raised a whopping $1500!! A huge thankyou to all that came along to our biggest breakfast in July it was an awesome morning & we are so proud to say we raised $1500!! A huge thankyou to all the Iluka businesses that donated items or vouchers this was much appreciated… Iguana Beachwear & Gifts, Iluka Service Station, lluka Hot Bread, Iluka Hardware, Iluka Family Hair Care, Iluka Bowls Club, Funky Floral Design, Iluka Quality Meats & Iluka Bait & Tackle! 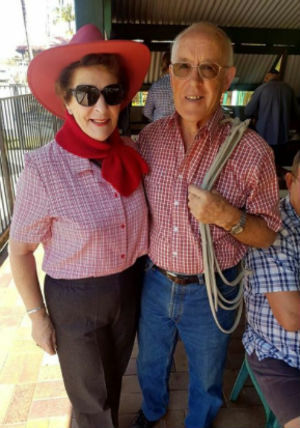 Catch Wanda & Ken at the Toowoomba Caravan & Camping Show 3rd, 4th & 5th of August! Should be a great event to check out if your in the area!! 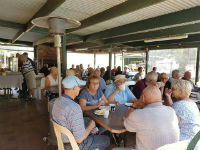 What a lovely morning tea we had with park guests & staff! It was a great turn out & nice to spend time with everyone, being such a full park at the moment. 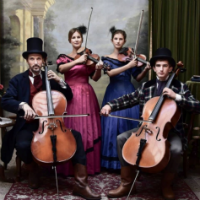 The amazing string family will be visiting us again this September to treat us to an afternoon of Celtic & modern tunes. If you have heard them before you know how truly amazing this family are . Please check them out on Facebook on their website you will not be disappointed! Well the cooler weather has set in & our winter crew have are all here now. The fireplace in the camp kitchen is being utilized every evening. We have board games & puzzles & also a few movies here & there by the fire for those wanting something to do on the cooler days . It is such a lovely time in the park with regulars & new visitors meeting around the campfire talking about their travels or where they are from. We really enjoy this time of year & love that so many of you enjoy it here for winter too! Our annual Cuppa for Cancer breakfast will be coming up soon raising funds through raffles auctions & a donation stalls. This year we have decided to hold a breakfast again at $10 per person as this was so well received last year! We will have a stall of donations etc as well as raffles… We look forward to this being a very successful day! Like always all donations of handmade or home cooked items etc welcome for the stall! Yay! All reno’s in the amenities have been completed & the feedback has been fantastic a big thankyou to Trevor & his team for all the hard work as well as a few of our Anchorage team for getting this big job done! We had a Linen party one afternoon for staff residents & guests to have a look through the beautiful range of products Kacee (our local Lorraine Lea Stylist) had to show us! It was a great turn out & with the party sales bonus we were able to purchase a beautiful throw rug worth over $70 to have as a prize in our Big Breakfast (Cuppa for Cancer) raffle! We have had a puzzle in the camp kitchen for the last week or so for who ever would like to spend a little time on it. It’s such a lovely spot in the camp kitchen with the open fire for some complete relaxation for doing puzzles. It was officially finished over the weekend by Val, Sue & Colin, thanks guys another one is on the way!! Don’t forget we have an always changing book exchange in the office free to use just take a book & leave another in it’s place. We also have a large range of DVD’s for hire at only $3 or 2 for $5 anything from kids cartoons to old time movies! SENIORS 28 DAY + LONG STAY RATE ONGOING OFFER – Stay on any of our roomy standard sites for only $737.75 for 28days! Max stay 56 nights . Must pay upfront for 28 days on arrival. Conditions apply, Subject to availability, Not valid with any other offer. Please mention this offer at time of booking. Not available in Christmas or Easter School Holidays. KIDS STAY FREE IN JUNE & JULY on sites & cabins!! Conditions apply, offer must be mentioned at time of booking, Subject to availability, not valid with any other offer. then only $10 per Hour! 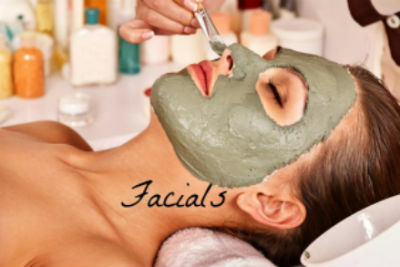 1 hour Massage +45 min facial only $150! Gift Vouchers available, waxing, eyelash perming & tinting, spray Tanning, nails & body Scrubs available! Health fund rebates may apply on remedial massage only. What beautiful weather we are having with sunny days & the nights a little cooler it’s really the perfect time of year. We have had the fireplace on of a evening & most of our southerners are up with us now for the cooler months. Its fantastic to see lot’s of familiar faces back again & great to see a few new faces joining us for the winter months too! Every year we hold a Cuppa for Cancer in some form raising funds through raffles auctions & stalls. 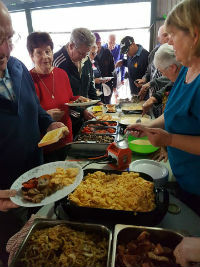 This year we have decided to hold a breakfast again as this was so well received last year! We will have a stall of donations etc as well as raffles… We look forward to this being a very successful day! Like always all donations of handmade or home cooked items etc welcome! The Men’s side of the amenities are completed with work on the ladies now under way. 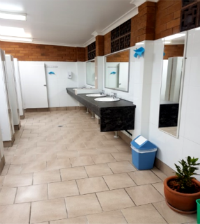 They look fantastic & really freshen up our much loved amenities that really been kept in great condition considering they have not been renovated for over 36 years…wow! Joy, one of our longest winter crew who has been coming for over 30 years, officially cut the ribbon to open stage 1 of the reno last week! What a lovely chance to book a table & make a great night out & at $25 for a yummy baked dinner. Ring the Golf Club for more details 66466408! Come on down to the shed for a lovely afternoon. Bring a cup & enjoy a afternoon tea while Stylist Kacee shows us through a range of Lorraine Lea Linen products. No obligation to buy just come & have a lovely catch up with park residents & guests with the option to buy some quality products if you choose. All benefits of party will be donated as a raffle prize for the cuppa for Cancer morning tea! Catalogues available at the office!! 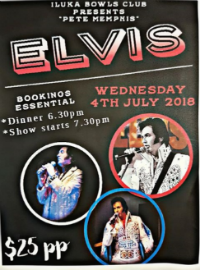 Elvis comes to the Bowlo..
Iluka Bowls Club will host Pete Memphis on the 4th of July for dinner & a show for $25! 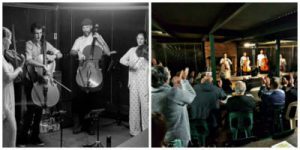 This is sure to be a fantastic night out in Iluka. Ring the Iluka Bowlo to book on 66466 188… tickets are selling FAST! 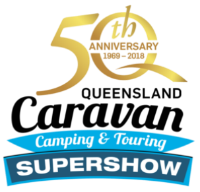 50th Annual Queensland Caravan, Camping & Touring Supershow at the Brisbane Showgrounds is on the 6-11th of June 7 the Anchorage will be there…come and say hello to Ken & Gavin!! upfront for 28 days on arrival. Conditions apply, Subject to availability, Not valid with any other offer, Please mention this offer at time of booking. Not available in Christmas or Easter School Holidays. WOW…KIDS STAY FREE IN JUNE & JULY on sites & cabins!! Conditions apply, offer must be mentioned at time of booking, Subject to availability, not valid with any other offer. WOW…Ask us how you can get…1hr Free TRIKE or QUADRICYCLE HIRE & 1 hr Free KAYAK or STAND UP PADDLE BOARD HIRE! Can you believe May is here already which means it’s time for our Winter crowd to start arriving (a few are actually here already as they came a bit early this year). 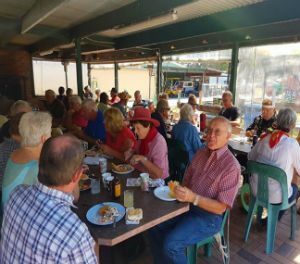 We enjoy this time of year over the cooler months of the year with our winter crowd made up of mostly Southerners who find the Iluka winter very mild & enjoyable. We have started our exciting renovations this week on the amenities block! 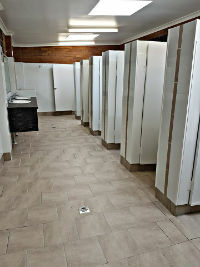 Both the Male & Female amenities will be fully renovated with a beautiful modern look. We are expecting these renovations to be completed by mid June. While this is taking place we do have temporary amenities set up. Ken & Gavin will be at the Queensland Caravan & Camping Show again this year come & say Hi if your there it’s always a great show with plenty to see & fantastic info about all things caravanning & camping! Look out for a fantastic accommodation giveaway to the Anchorage!! 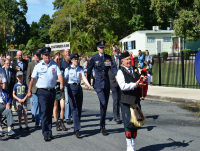 What a fantastic turn out Iluka had one again this year for both the Dawn service & the March. It is always a beautiful service & is always wonderful to see so many people young & old taking part in this special day. 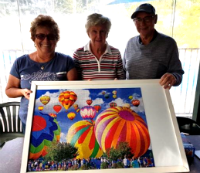 Kevin & Joy from Lavington NSW, have been visiting the park for over 30 years. 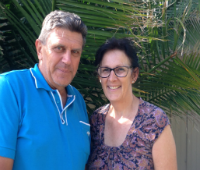 They originally came to Iluka for the fishing & started their holidays with us staying in a cabin. Years later they bought a van of which they upgraded several times over the years. They have made many friends over time & come back every year with Freckles the dog for the friendships, the peace & quiet & the Fishing. Stay on any of our roomy standard sites for only $737.75 for 28 days! Max stay 56 nights. Must pay upfront for 28 days on arrival. Conditions apply, Subject to availability, Not valid with any other offer, Please mention this offer at time of booking. Not available in Christmas or Easter School Holidays. Conditions apply, offer must be mentioned at time of booking, Subject to availability, not valid with any other offer. 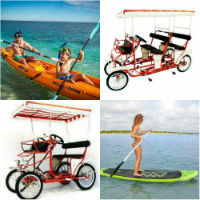 1 hour Free TRIKE or QUADRICYCLE HIRE & 1 hour Free KAYAK or STAND UP PADDLE BOARD HIRE! 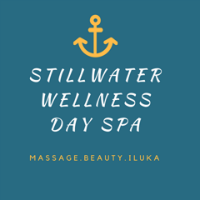 1 hour Massage + 45 min facial only $150! A big happy Mothers Day to all the Mum’s we hope you have a lovely day!! We hope everyone had a lovely Easter & enjoyed time with family & friends! We were very lucky with the weather & enjoyed beautiful sunny days! We have had a lovely Easter with a fantastic group of guests. 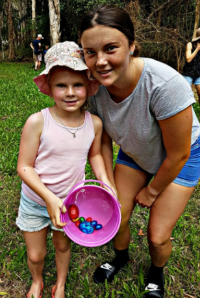 We had kids activities & made Easter cards & Easter Baskets & had another fantastic ‘Annual Great Easter Egg Hunt’. 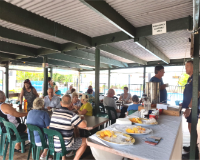 It was lovely to see so many families enjoying the beautiful weather over the weekend & making the most of what Iluka has to offer we had many people with boats in the park & many out catching some great fish. 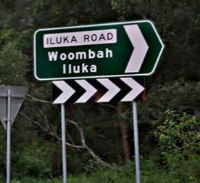 Please be aware if you have not visited us for a while that there has been many changes around The Iluka turn off & many roadworks & bridge works are happening on the nearby Highway & Harwood Bridge the actual Iluka turn off is now located a few hundred metres south of where it was so just be aware of these changes & possible delays around the Harwood bridge. We are so excited to announce we have a line up of fantastic music artists that will be joining us over the nest few months along with the very popular & amazing String Family who will be visiting us again in September this year as they travel around playing there mix of Celtic & modern tunes. We hope to have a fantastic crowd again this year! Check out their Facebook page https://www.facebook.com/Thestringfamily/. With the arrival dates of our winter crowd getting closer so is our annual Winter Function! 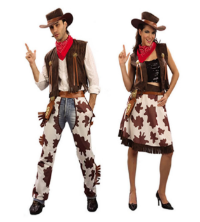 Our theme for this year is ‘Cowboys’ I know we can have a lot of fun with that one!! We are thinking some good country music some hay bails & a good time will be had! Stay on any of our roomy standard sites for only $737.75 for 28days! Max stay 56 nights. Must pay upfront for 28 days on arrival. Conditions apply, Subject to availability, Not valid with any other offer. Please mention this offer at time of booking. Not available in Christmas or Easter School Holidays. Want to SAVE 15% OFF these April SCHOOL HOLIDAYS? STAY WITH US for 4 NIGHTS OR MORE between April 3rd 2018 & April 30th 2018 in any of our fantastic cabins or fabulous powered or un-powered sites & you will receive 15% OFF your stay!! 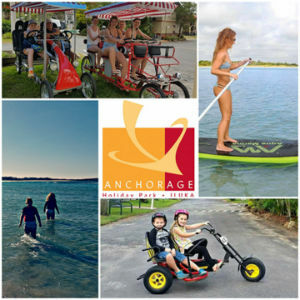 Come & enjoy all the Anchorage has to offer these school holidays…Large resort style Pool & Spa area, large Camp Kitchen, on site Day Spa offering remedial massage & beauty treatments, Free BBQ’s, Kids playground, Hire Trikes & Quadricycles, Kayaks & Stand up Paddle boards! Kids activities & movie nights are run over the school holidays too! As we cruise towards the busy Easter time we have been enjoying a lovely mild end to the summer season. We look forward to the busy Easter time with our Annual Easter Egg Hunt & kids activities & movie nights! We still have a few CABINS AVAILABLE OVER EASTER so please contact our office on 1800 639 127 to book or for more details! Our meet & greet happy hour of Prawns & Champagne or Chicken Skewers & Champagne evenings are very popular! 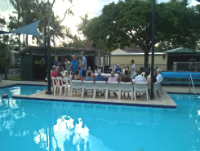 This is a lovely chance to meet other travellers or residents in the park & relax by the pool. We will have these evenings as it fits in with bookings & groups visiting the park we hope to see you at one soon! We had a visit from the True Blue Caravan Club based in QLD. They enjoyed their week with us filling in time checking out the local area & enjoying dinners out ferry cruises & group activities. 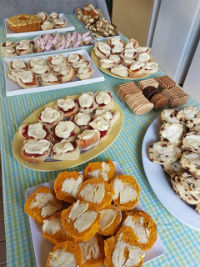 We held a lovely morning tea with the club last Thursday & had a wonderful time! Congratulations to Robyn & Graham from Lake Macquarie looking forward to seeing you soon! Stay on any of our roomy standard sites for only $737.75 for 28days! Max stay 56 nights . Must pay upfront for 28 days on arrival. Conditions apply, Subject to availability, Not valid with any other offer, Please mention this offer at time of booking. Not available in Christmas or Easter School Holidays. STAY 5 PAY 4 MON-FRIDAY ON ALL POWERED & UN-POWERED SITES! STAY FRIDAY & SATURDAY NIGHT & GET SUNDAY ABSOLUTELY FREE IN ALL CABINS!!! Valid 1st February till 28th of March 2018, Not valid with any other offer, subject to availability, please mention at time of booking! Call Jess or Florence to secure your appointment on 66 457 242! 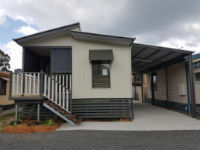 Just completed brand new 2 bedroom unit, fully optioned with A/C, Dishwasher, Security doors, Flyscreens, Blinds, Built in robes, Ceiling fans, large main bedroom & good sized bathroom with walk in shower with rail & large carport. This home is a quality built with 7 years builders warranty all appliances have manufacturers warranties great location owners enjoy use of large heated pool & on site Day Spa. 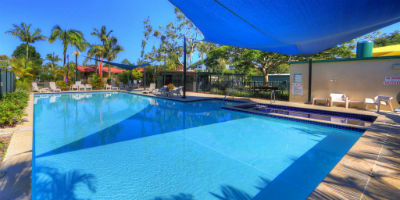 Iluka is a quite coastal town with a great climate & 1 hour to Ballina Airport . This is the last new home available for 12mths! For all those joining us for Easter Holidays we wish you safe travels & we look forward to seeing you soon & for those spending time at home or with family & friends over Easter we hope you have a lovely time! As the busy school holiday period has now come to an end, it’s time to start thinking about the year ahead. We hope everyone had a lovely Christmas and New Year break and for those with kids, we hope they are settling back into school well. Australia Day Sausage Sizzle lunch was fantastic with a great turn out. We have had a busy long weekend with the park being quite full. The Anchorage tradition kept going as we were treated with Judy’s famous Damper! Say hello to Ken & Gavin next week at the Newcastle show. They will be talking all things Iluka & the Anchorage! They will also be running our latest giveaway of a chance to win 1 week in one of our beautiful Spa cabins or 2 weeks on one of our roomy powered sites ! Be sure to stop in & see them & enter if you are heading to the show. The theme this year is Country & Western! Get ready to Dust off those boots & get ready to go boot scooting! With our Victorians & winter crew probably starting to think about what to pack for the trip! We think this will be lot’s of fun with plenty of ideas already for games etc! *SENIORS 28 DAY + LONG STAY RATE ONGOING OFFER – Stay on any of our roomy standard sites for only $737.75 for 28days! Max stay 56 nights . Must pay upfront for 28 days on arrival. Conditions apply, Subject to availability, Not valid with any other offer, Please mention this offer at time of booking. Not available in Christmas or Easter School Holidays. STAY 5 PAY 4 MON-FRIDAY ON ALL POWERED & UN-POWERED SITES! – Valid 1st February till 28th of March 2018, Not valid with any other offer, subject to availability, please mention at time of booking. STAY FRIDAY & SATURDAY NIGHT & GET SUNDAY ABSOLUTELY FREE IN ALL CABINS!!! Valid 1st February till 28th of March 2018, Not valid with any other offer, subject to availability, please mention at time of booking. WANT THE PERFECT WAY TO SPOIL YOUR VALENTINE? What a fantastic night it was at our annual New Years Disco. This year was ‘Beach Party’ theme and we had the awesome DJ Ecko again that played his tunes while we partied on saying goodbye to 2017 & hello to 2018! Thank you to all that came along it was lovely to share the night with you all! 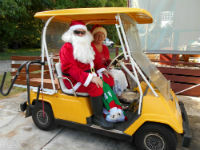 On Christmas morning Santa visited the park in style handing out lollies to all the kids around the park. Thank you Santa for visiting us! What a awesome group we have had & still have in the park for the busy Christmas period. We have been at full capacity for the last few weeks & everyone has been so well behaved & having an awesome time with family & friends. We thankyou for being considerate of others & making everyone’s stay an enjoyable one. 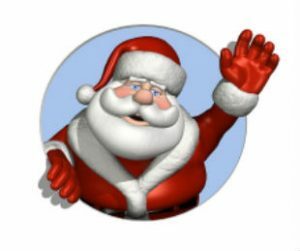 We hope everyone has a safe trip home & we look forward to seeing you all again through out the year or next Christmas! W hat an amazing turn out of Hot Rods we had come through town. They were in the area for the Borderline Hot Rod club run in Yamba that attracts a huge crowd every year. The kids at Iluka public school cheered the cars on as they paraded past the school. Then as the owners dined at the Iluka Bowls club Locals & tourists could look around the amazing assortment of cars in the Bowls club carpark. The cars come from all around the Northern Rivers, Gold coast & surrounding areas! It has been fantastic to see the new bikes out & about! 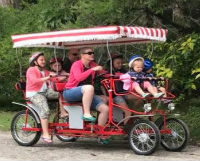 Lot’s of fun to be had while staying in our cabins or Camping this Christmas as you can take these bikes (if an adult hires) out of the park a few have gone to the Pub & back & toured around Iluka in style! Kids can hire but will need to remain in the park unless with an adult. Come along for a lovely afternoon & celebrate Christmas with your neighbours from 5pm in the camp kitchen! Nibbles provided but everyone is most welcome to bring a plate to share! Please let us know if you would like to come along as we are taking numbers for catering purposes. Be in it to win it as the lucky door prize is a lovely Christmas Hamper! Spray Tanning Will be Available Soon at our Day Spa! Along with all the amazing treatments & massage we already offer we know spray tanning will be very popular too! Every year we have our always popular new years disco with the fantastic DJ Ecko joining us again for a fantastic night in our camp kitchen! The theme this year is BEACH PARTY! We look forward to seeing you all in your beachy gear ready for a night of family fun!! All park guests & Residents welcome! 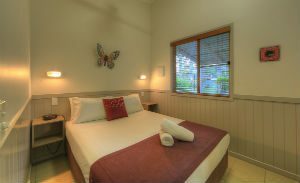 WOW… Before Christmas offer… $29 per night!! Stay with us on a Standard powered site between the 1st of December 2017 & the 16th of December 2017 inclusive & only pay $29 per night for 2 people!!! With access to all our facilities including BBQ’s, Camp Kitchen, Pool, Day Spa, Hire Bikes, Stand up paddle boards, Kayaks & lot’s more!! (Some charges may apply) Conditions apply, Not available with any other offers, Subject to availability, Must be mentioned at time of booking. Just completed brand new 2 bedroom unit, fully optioned with A/C, Dishwasher, Security doors, Flyscreen, Blinds, Built in robes, Ceiling fans, large main bedroom & good sized bathroom with walk in shower with rail & large carport. 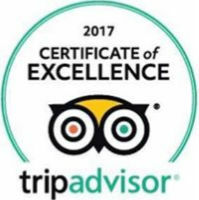 We are so excited to announce we have been awarded the 2017 Certificate of Excellence for continuous fantastic reviews from our guests. That means a big thank-you to all of you (our valued guests) for taking the time to leave us a review when staying with us. Trip Advisor is a fantastic tool that is really shaping the way many guests choose & book accommodation & an excellent way for guests to communicate & give feedback on their experience of the Park & Iluka! It’s that time of the year again that an amazing array of over 400 Hot Rods will be in our area! 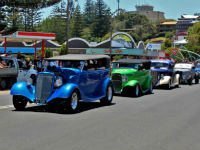 Every year the small coastal town of Yamba at the mouth of the Clarence River plays host to hot rod enthusiasts from up and down the Australian east coast. 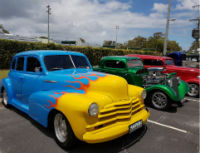 Some splendidly restored modern and vintage rods can be seen tootling around Yamba streets adding an extra layer of colour to the sun and surf. 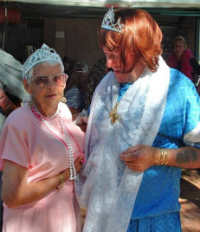 Now… a little birdy told me that there will be a large group of Hot Rod’s come through the streets of Iluka on their way for a luncheon at the Iluka Bowls Club showing off their pride & joys!! Check them out if you’re in town as they should be coming down Iluka main street (Charles St) at about 11:45am on Thursday the 9th of November! Then on Saturday they line the streets of Yamba for a family fun event…a not to be missed day out in the Clarence!! Our Busy Christmas Period is Approaching Fast! For all our guests joining us over this period just a friendly reminder we have sent out our 50% deposit requests back in August & will then follow up with the remaining 50% with emails going out in November then payment due by the 1st of December. We are still waiting on a few to get back to us, If anyone has any changes or questions regards their booking please contact us ASAP on 1800 639 127! New Toys for the Park! Wow how exciting we have purchased 2x Stand up paddle boards 2x two seater kayaks, 2 x one seater Kayaks & some very funky 2 & 4 person bicycles! They are coming very soon to The Anchorage & will be available to hire for all our guests & residents. Beat the stress by ordering your Christmas presents today! 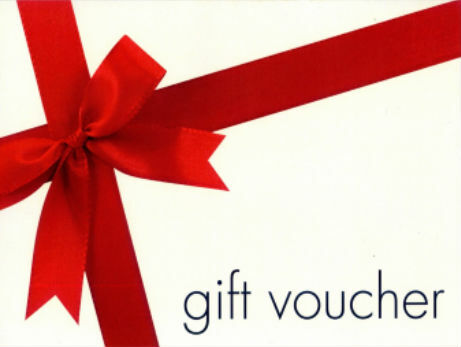 We also have gift vouchers available if you prefer offering a treatment. *Stay 7 NIGHTS Pay only 5 nights! $185.00 for 2 adults on any of our standard sites. Valid from October 8th 2017 –30th November 2017 Conditions apply, subject to availability, not valid with any other offer. Please mention this offer at time of booking. *GET AWAY BEFORE THE SILLY SEASON STARTS with 4 NIGHTS in any of our fantastic cabins & up to TWO kids stay absolutely FREE!! Valid from October 8th, 2017 –30th November 2017 Conditions apply, subject to availability, not valid with any other offer. Please mention this offer at time of booking. *SENIORS 28 DAY + LONG STAY RATE ONGOING OFFER, Stay on any of our roomy standard sites for only $737.75 for 28days! Max stay 56 nights. Must pay upfront for 28 days on arrival. Conditions apply, Subject to availability, Not valid with any other offer, Please mention this offer at time of booking. **NEW YEARS EVE BEACH PARTY** Every year we have our always popular new year’s disco with the fantastic DJ Ecko joining us again for a fantastic night in our camp kitchen! The Them this year is BEACH PARTY! We look forward to seeing you all in your beachy gear ready for a night of family fun!! All park guests & Residents welcome! Aqua fitness classes are back at the Anchorage Pool with Regina! 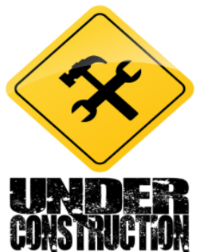 Wednesdays 11:30am– 12:30pm, Fridays 2pm– 3pm. All fitness levels welcome. $10 per lesson/per person. Aqua non-slip shoes can be purchased from reception if required!